Caring for an aging loved one can be a stressful and frustrating, as well as emotionally and financially draining. Caregivers take on multiple roles –caring for mom and dad, their family, and maintaining their day-to-day lives, sometimes including full-time careers. Adding to the stress of caregiving for older loved ones can also include managing medications, getting to medical appointments, and negotiating with doctors. It can be a lot for caregivers and their families, but with the Senior LIFE Program, your loved ones can get the care they need while remaining in the comfort of home. What is the Senior LIFE Program? Senior LIFE (Living Independence for the Elderly) is state and federally funded Medicare and Medicaid Program that provides long-term care for seniors so that they can remain living at home and out of a nursing facility. Senior LIFE is a team-based model of care based on the idea of effectively and efficiently treating seniors with multiple chronic conditions outside of the hospital setting. When possible, the program looks to collaborate with caregivers to provide the care seniors need while living at home. Senior LIFE has dedicated staff of medical professionals including doctors, nurses, homecare coordinators, social workers, physical and speech therapists, transportation and more. This dedicated staff, also known as the interdisciplinary team, is able to provide Senior LIFE members with an impressive list of medical care and homecare services, including: physicians and specialists, nursing care, physical, occupational and speech therapies, personal and home care, medications, meals and nutritional counseling, eye, dental and foot care, durable medical equipment and other medically necessary services. For a full list of services, visit our “about us” page. The LIFE Health and Wellness Center is another critical component of the Senior LIFE Program that distinguishes it from other healthcare program. At the LIFE Health and Wellness Center, members can see their doctors and nurses, and participate in rehabilitation programs. They also eat lunch together and participate in social activities like BINGO, reading groups, arts and crafts, exercise, music and field trips. The average participant visits the LIFE Health and Wellness Center two to three days a week. What is even more impressive is that there are no cost for services for those who qualify, no co-pays, and no deductibles. The ideal Senior LIFE member is someone 55 or older who needs a little additional support to live independently in his or her home. Senior LIFE aims to be a “one stop shop” model of care. Most care is delivered during the day, but care is available 24 hours a day, 365 days a year. Ultimately, Senior LIFE is a support system, not a replacement for caregivers. Dedicated caregivers play an important part in every participant’s treatment plan, and Senior LIFE can even provide some education for caregivers in matters pertaining to caring for their loved one. Though the program’s focus is on allowing seniors to remain in their homes, Senior LIFE can also help provide respite care, skilled nursing facility care, hospitalization and end of life care if needed. To enroll in Senior LIFE, seniors must be 55 years or older, live in the service area, qualify for a nursing home level of care, and be able to live safely in the community. Applying is free, and there is no obligation to enroll. 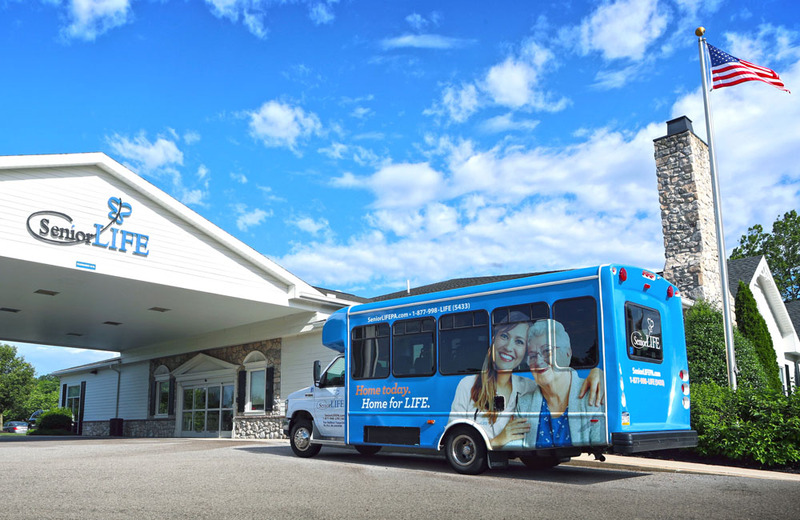 To learn more about the LIFE Program, or to see if it’s the right fit for you and your loved ones, please visit us online at www.seniorlifepa.com. We’d love to hear from you on your questions regarding the LIFE Program. Drop us a line!